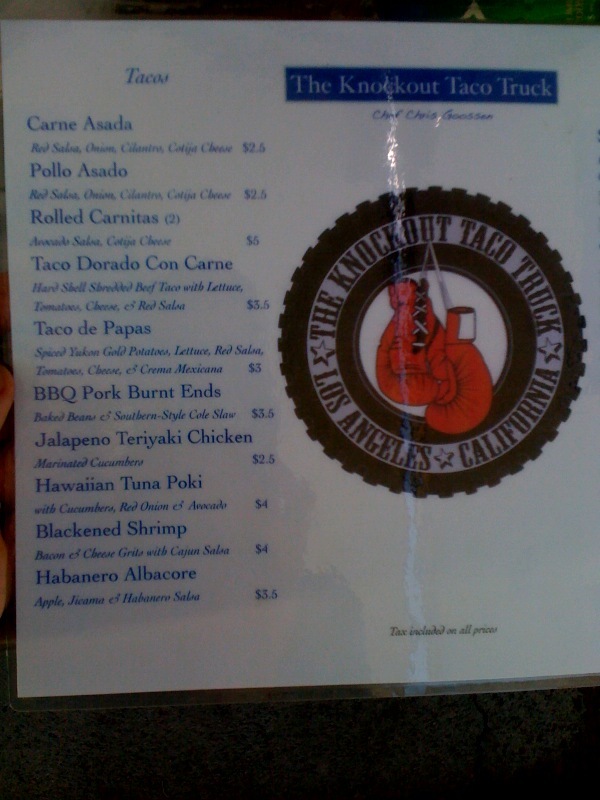 We bumped into Knockout Tacos by Pan Pacific Park, on the truck's first full day out. Chef-owner Chris Goossen used to work at Bottega Louie downtown. His family is in the boxing business, hence the truck's concept. 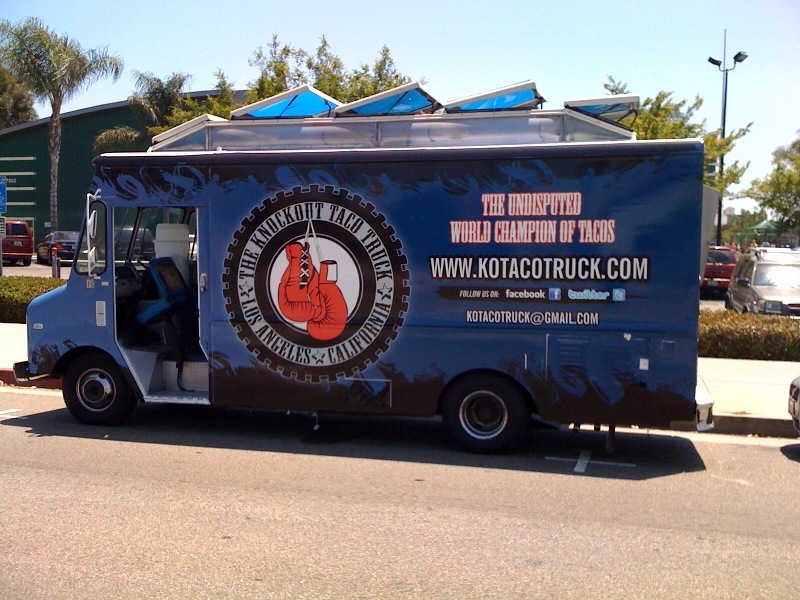 His cousin in Temecula did his truck's distinctive blue wrap with its red boxing-gloves logo. We got three tacos: BBQ pork burnt ends with baked beans and Southern-style coleslaw ($3.50), carne asada ($2.50), and pollo asada ($2.50). The pork delivered a, uh, one-two punch of deliciousness, although it could perhaps benefit from being shredded instead of sliced - the size of the pieces made it a tad dry. Maybe that's the "burnt ends" part - perhaps it's supposed to be a bit chewy. The sweet, tender beans knocked me for six. (Oh, sorry, wrong sport; that's a cricket metaphor.) I now want to add baked beans to all the BBQ tacos I eat. The pollo asada was wonderfully tomatoey and vinegary. 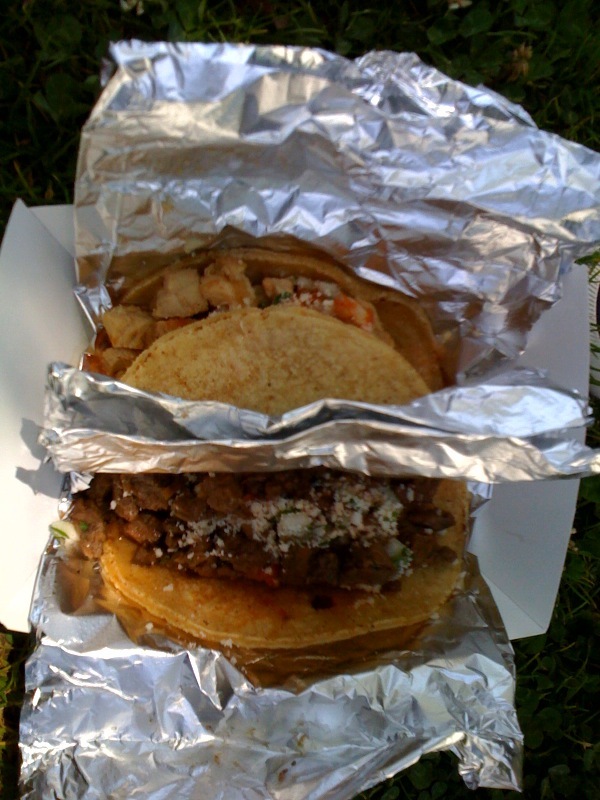 I loved the cotija cheese on both asada tacos. I know I end a lot of my reviews with "Next time I'll eat..." Hey, I've only got so much room in my stomach. 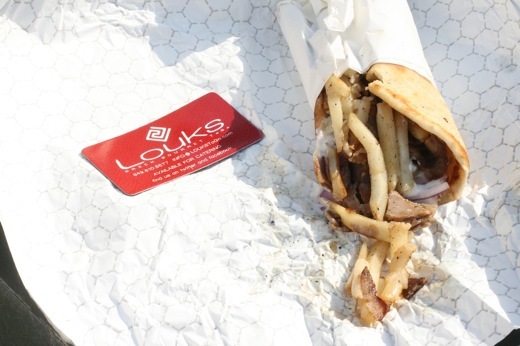 Whenever I visit a food truck, I pick three or four menu items, decide which two to have this time, and leave the other two dishes for my second trip. 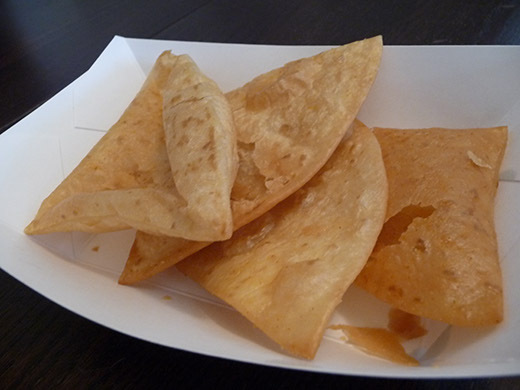 My next-time choices at KO Tacos are: the tacos de papa with Yukon Gold potatoes, and the habanero albacore taco - even though I'm a spice lightweight (Another boxing reference! Yay!) and may have to remove some of the salsa before chowing down. We have a unanimous decision! The winner, and still the heavyweight champion of the taco world, is... Wow, I can't believe I just stooped to that metaphorical level. 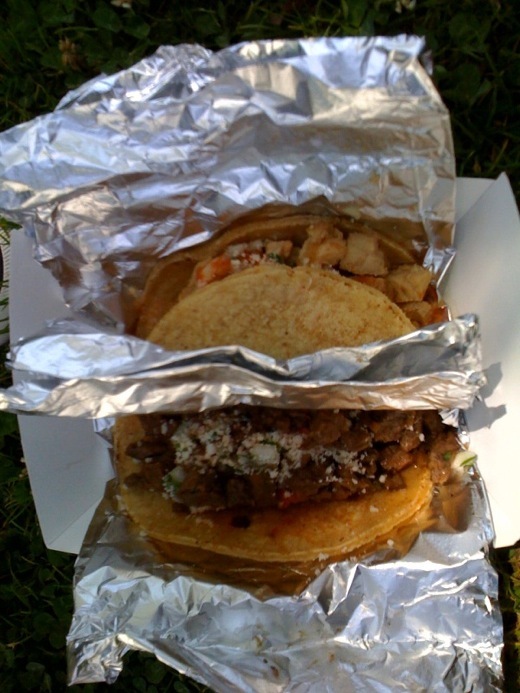 KO Tacos are great: no figures of speech necessary.